I recently went to supper with friends who were clearing out a number of items. 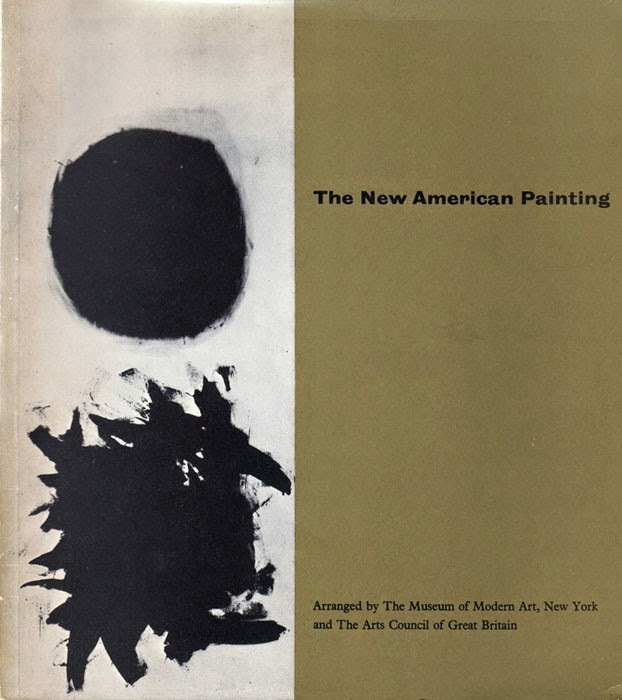 After the meal they asked me to take a look and among the variety of prints, paintings and books was this catalogue produced by the Arts Council in 1959 for the exhibition at The Whitechapel Art Gallery in London in association with MOMA New York. I knew of the exhibition but I had never seen the catalogue before. The artists in the exhibition include Baziotes, Brooks, Francis, Gorky,Gottlieb, Guston, Hartigan, Kline, de Kooning, Motherwell, Newman, Pollock, Rothko, Stamos, Still, Tomlin and Tworkov. Fantastic stuff. Can't wait to have time to read it all.